"So I'm trying to sell my Nexus 5 and I went to factory reset it from the settings. It's been stuck on ERASING for over half an hour. Is this normal? Should I just let it go? I've tried to reboot and nothing will work"
We have heard many users complained that their Nexus 7/6/5 stuck on erasing. For users who use Android, they might enjoy the openness of the system, that they can achieve its changeable functions by rooting. And they always need to factory reset their Android phones, when meet with the problem that Android stuck on erasing screen, what can users do to fix? Follow this article and find some useful tricks. When the speed of your smart phone get slower than before, most of the Android users may choose to root or factory reset their Android phone to release more space and optimize the operating system, thus they can have a better using experience. But regularly get your Android phone rooted or factory reset can also lead to problems. Your smart phone may easily get stuck during the process. Timely clear up is necessary, but make sure to set your Android phone a suitable environment with properly operation. For this kind of Android erasing loop, Nexus 5 can be the one which Android phone would meet this problem at the highest rate. Here we collect two tricks from net friends to help you fix Google Nexus 5 stuck on erasing (also apply to other Android phones). Trick 1: For certain users, if you just meet with this problem, we suggest you to wait for about half an hour, if your smart phone runs well, it may automatically turn into the following steps. If it last for a long time, you can then have a try by using other solutions. Turn your Nexus 5 off, press and hold the Volume Down, Volume Up and Power buttons simultaneously until the phone turns on. When you find "Start" with an arrow around it shows on the screen, press Volume Down twice to highlight "Recovery mode" and press Power to confirm. When you see an icon of an Android robot with a red exclamation mark and the words "No command" appears, hold the Power button and press Volume Up. 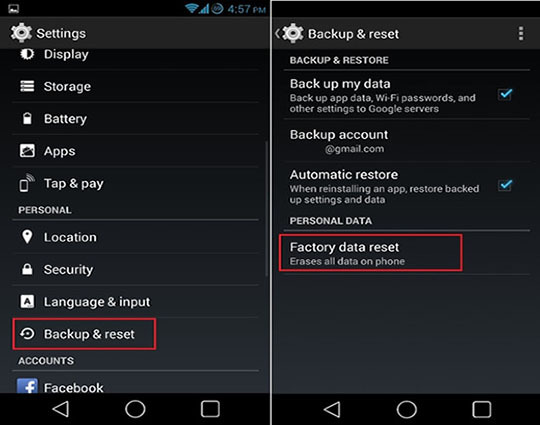 Scroll to "wipe data/factory reset" and press Power button to select it. 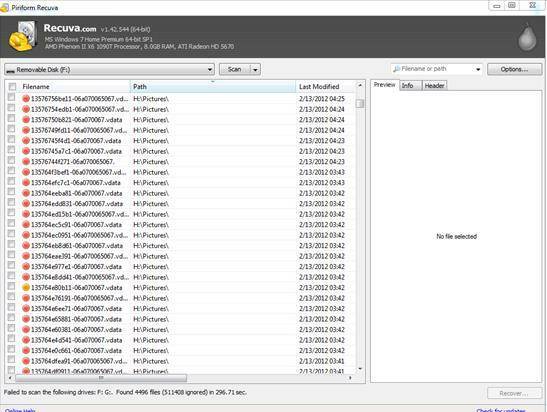 Then choose "Yes - erase all user data" and confirm the selection. And reboot your Nexus 5. Note: If your phone becomes unresponsive at any point during these steps, you can restart it by holding down the Power button for several seconds. In most of the case, users can use the method we mentioned to fix Android recovery erasing, but it also has disadvantages that you will lost all the data in your Android smart phone. You may then have a try by using Tenorshare Android Data Recovery, this software provides ultimate solutions to recover your lost data and help you better manage your Android phone.